Can one of Hawai‘i’s most iconic and spectacular endangered plants, the Haleakalā silversword, adapt to climate change? 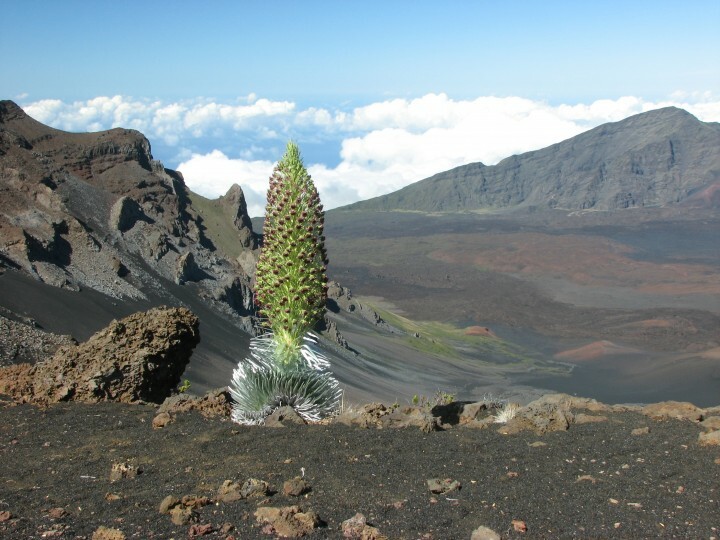 This project examines patterns and causes of recent population declines in the Haleakalā silversword associated with observed climate changes in Hawai‘i’s high-elevation ecosystems. The silversword forms the foundation of a diverse alpine community and its decline likely reflects wider ecological changes. Building on extensive research of this species and climate change trends on Haleakalā, this project makes future population projections under different climate scenarios. Seedling drought tolerance experiments will help clarify causes of widespread mortality and inform restoration strategies.